Vendor has already bought and is on the move. A quick sale is required, and all offers will be considered by our motivated owners. 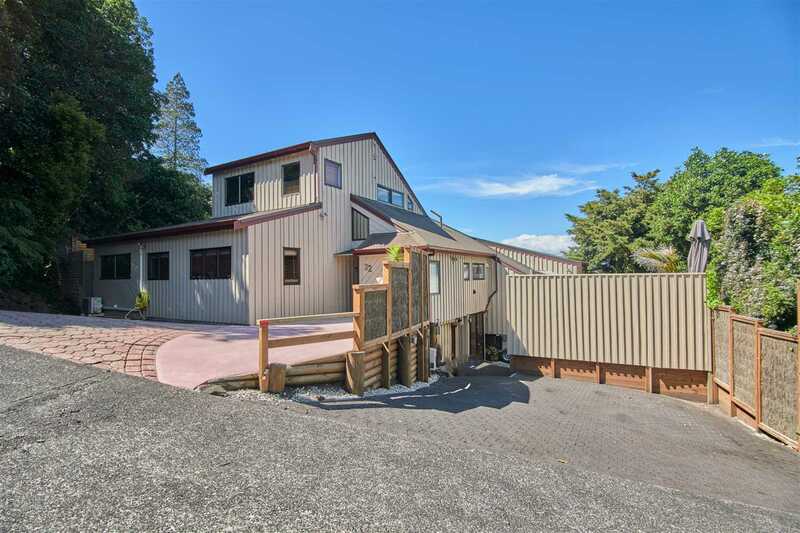 Here is your chance to secure a large family home that extends over three levels while still being both functional and private. Set in a quiet cul-de-sac in highly sought-after Torbay, this well presented modern home offers four large bedrooms, two living areas, two bathrooms and a huge gourmet designer kitchen. Two feature fireplaces and multiple heat pumps ensure your comfort through-out the seasons. A real entertainers delight, with multiple entertaining areas including a BBQ deck area that features direct access to the kitchen via a serving hatch window. Stunning sea views out to Rangitoto Island can be experienced from the dining area and master bedroom. Mature planting offers privacy while enjoying the heated swimming pool and flat lawn area. Additional bonus accommodation with separate entrance on the ground level includes one bedroom, bathroom, lounge, kitchen, laundry and two parking spaces. Further benefits include being minutes to beaches, motorway and top north shore schools. Be sure to inspect at your earliest convenience. Chattels remaining: Blinds, Fixed floor coverings, Light fittings, Stove, Drapes, TV aerial, Dishwasher, rangehood. Please note: the current stove and rangehood will be removed before settlement date and a new appliances will be installed prior to the pre settlement inspection.